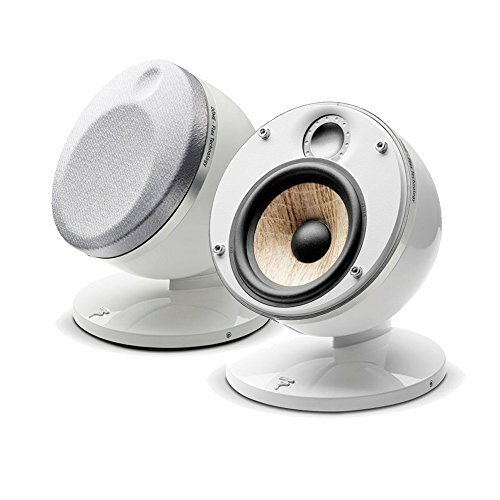 Focal Dome Pack 2.0 Flax 2-Way Compact Sealed Satellite Speaker (White, Pair) Your Home Cinema sound FLAX SPEAKERS Focal invents Dôme, miniature speakers with exceptional performance, for all Home Cinema installations. Dôme has been designed with specific technologies to help you rediscover true sound, without encroaching upon your living space. This high-end mini speaker succeeds in every aspect: refined design, sophisticated materials, and a focus on quality and performance. Proudly made in France and listened to throughout the world. The Flax technology offers a distinct improvement in definition and better linearity in frequency response. In wall, in ceiling, on furniture or standing, Dôme comes to your place naturally and embodies brilliantly and eloquently the true Focal sound. It will be the music source for every room from 320ft2 to 430ft2.